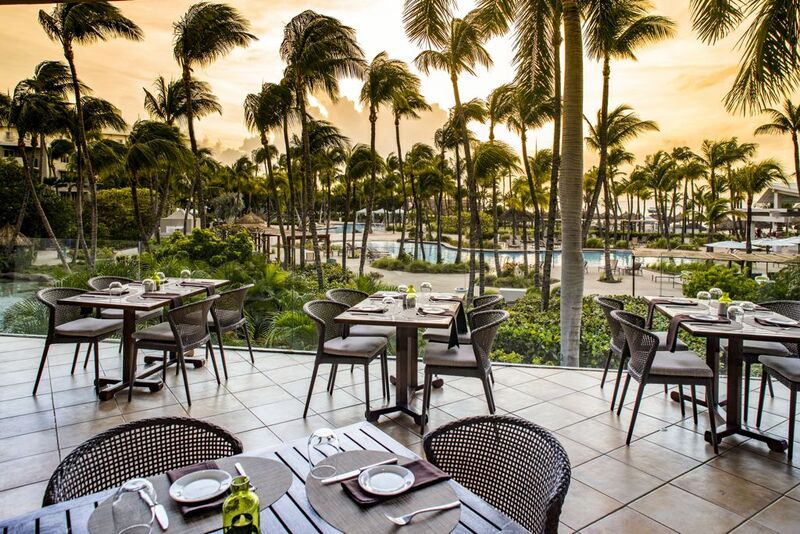 The culinary team of the Hilton Aruba Caribbean Resort & Casino is preparing a veritable Thanksgiving feast, to be held at the Sunset Grille Restaurant from 5:30pm to 10:30pm on Thursday, November 22nd, 2018, Thanksgiving Day. Dinner will be served in an elegant family-atmosphere, with plentiful and tasty offerings, all equally fresh and tempting! 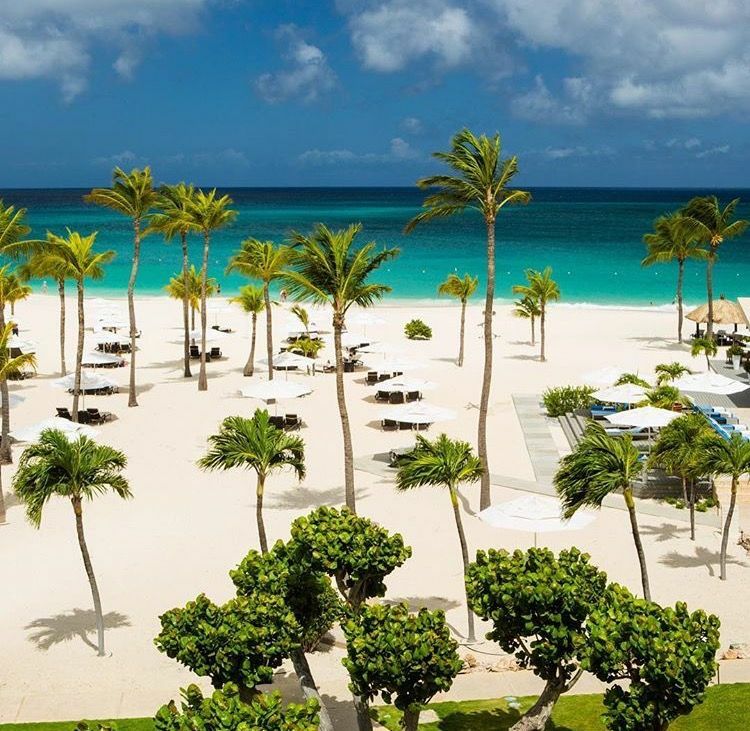 The Continue reading "%s"
The Hyatt Regency Aruba Resort, Spa and Casino introduced their free mobile app referred to as the HyattAruba app, which intends to enrich the individual traveler’s One Happy Island experience. 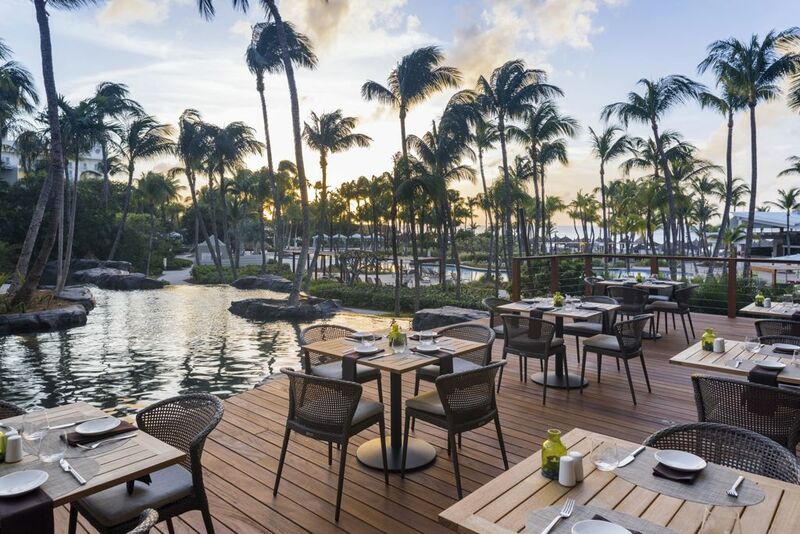 The HyattAruba app, officially titled, “Hyatt Regency Aruba Resort Spa & Casino” on Google Play, and “Hyatt Regency Aruba” on the iTunes App Store, is Continue reading "%s"
The Sunset Grille at Hilton Aruba Caribbean Resort & Casino recently introduced a most-tempting offer of two Four-Course meals for $99, with three starter choices, one appetizer, four entree choices, side dishes, and a chocolate decadence cake as shared dessert! 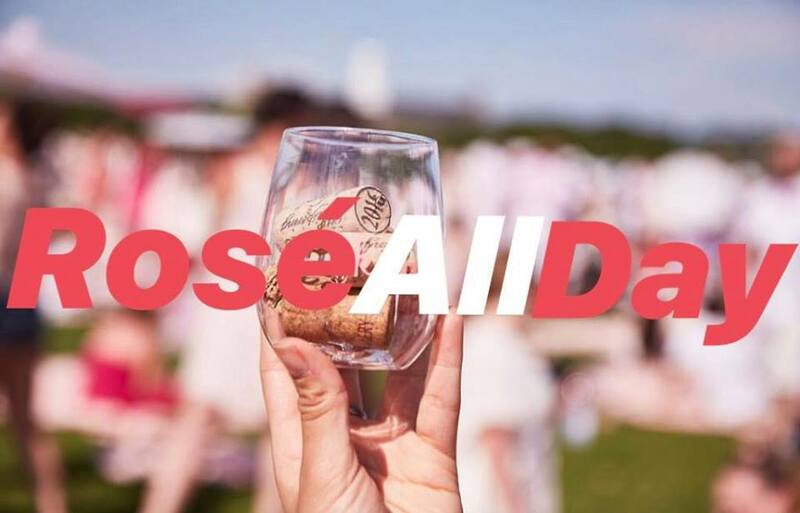 The offer is designed to attract both locals and tourists, eager to experience the finest Continue reading "%s"
It’s almost time for a new edition of ‘Rosé All Day’. The first edition took place in the Magical Wilhelmina Park last year and has proved to be an innovative event, where wine lovers came together for a relaxing afternoon, good music, and exquisite bites accompanied by delicious rosé. This year the Renaissance Aruba is Continue reading "%s"
The event organizers of CSJF 2018 are preparing the final details of the amazing annual production. Festivities started during yesterday’s press conference held at the Renaissance Convention Center. Organizer Erik Eman welcomed all of the local and international press & media attendees. 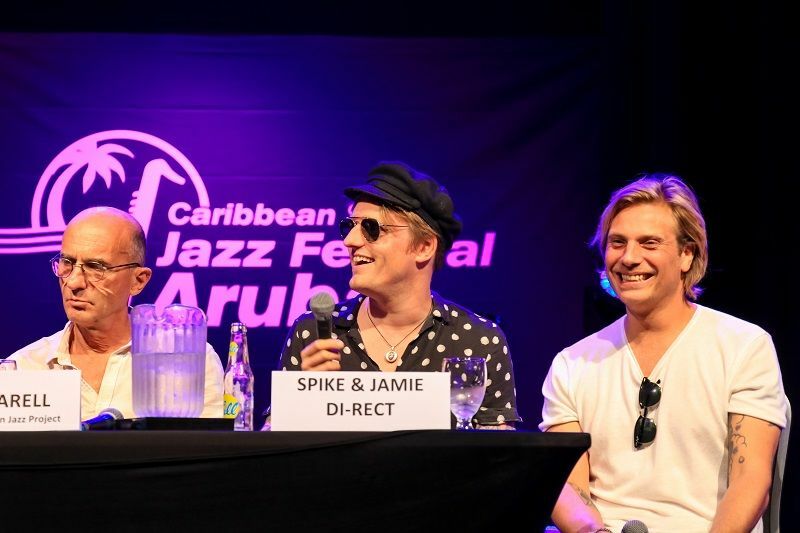 Joining him on stage was Spike, singer of Di-Rect, a group especially popular Continue reading "%s"
The J35 Dash has won the tenth Aruba International Regatta, for the eighth time in a row. 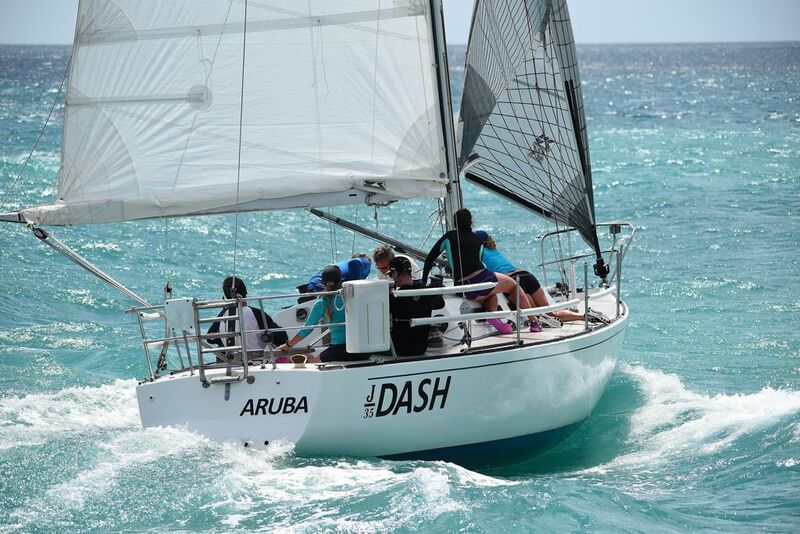 Some 40 vessels from around the ABC Islands crewed by people from as far away as the Puerto Rico, Curacao, the US, the Netherlands and Belgium. 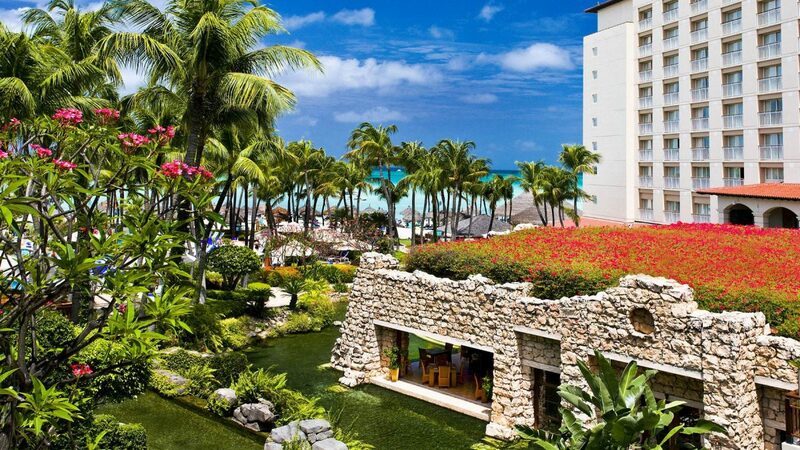 Continue reading "%s"
After last year’s great success, another large vow renewal ceremony in Aruba was in high demand! 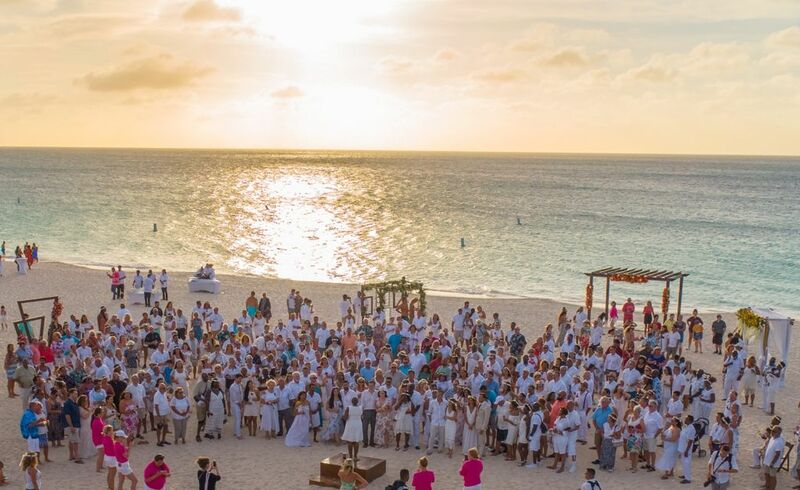 On August 22nd, 2018 Aruba delivered yet another successful evening filled with love and happiness as lovebirds from all over met to renew their I do’s on the powdery-white sands of world-famous… Eagle Beach! 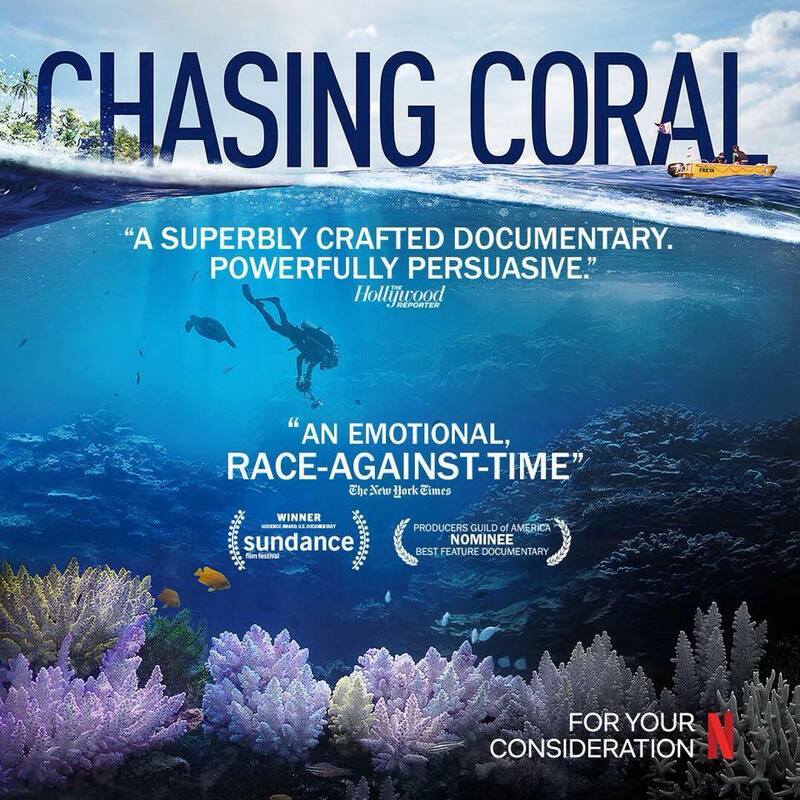 The event turnout was record Continue reading "%s"
The University of Aruba, Aruba International Regatta and VisitAruba are hosting a free screening event of the Netflix Original Documentary, "Chasing Coral". The screening will take place on Thursday, August 16th from 7 – 10 PM at the University of Aruba. 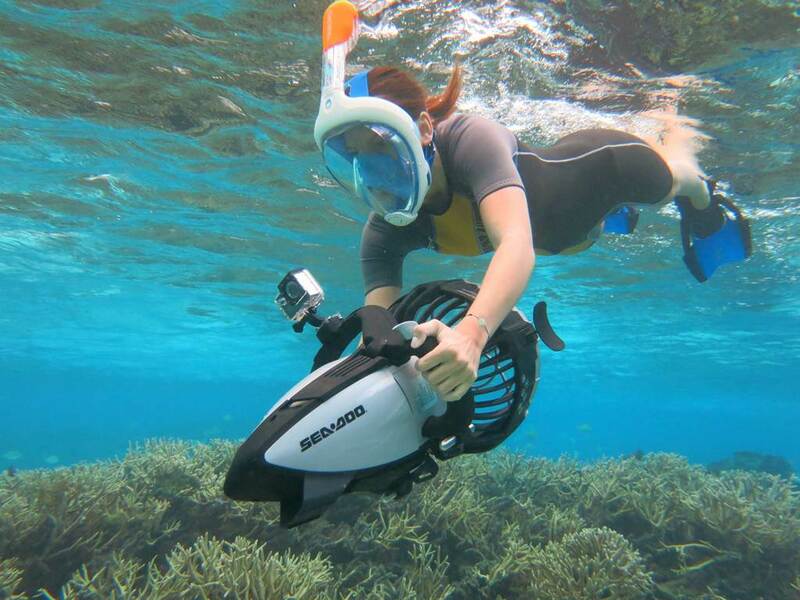 Continue reading "%s"
Octopus Aruba has added an exhilarating and highly raved about… Power Snorkeling tour! Making Octopus Aruba the first catamaran operator to offer this unique excursion! Power Snorkeling is not your typical snorkeling trip... Continue reading "%s"
Pelican Adventures recently welcomed the volunteers of United Dogs Aruba Foundation aboard their catamarans for a relaxing and well-deserved sailing experience. The sail marked the kick-off of the fieldwork in Aruba for the doctors and other volunteers that flew in for their special spay and neuter program, rescuing and treating stray dogs on our island. 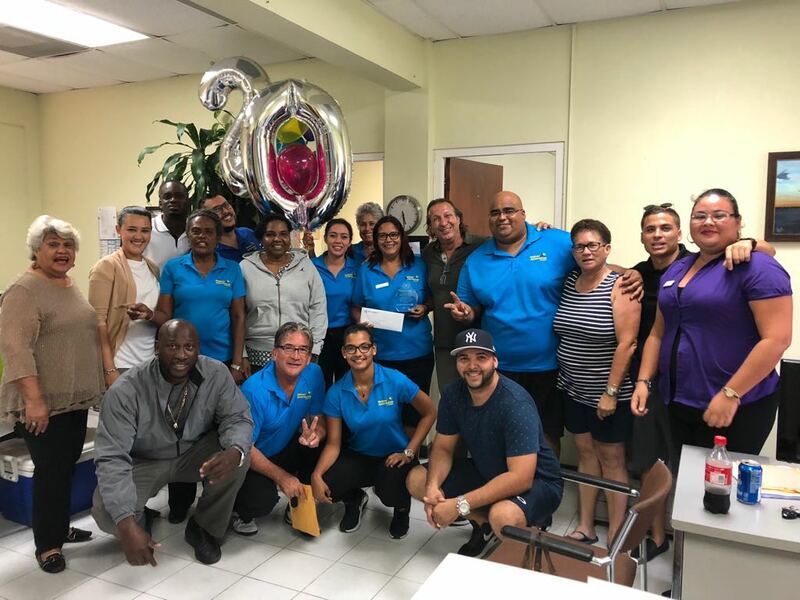 Continue reading "%s"
The Caribbean Hotel & Tourism Association recognized Bucuti & Tara Beach Resort with an award for Social Responsibility at its annual CHIEF Conference in Miami. 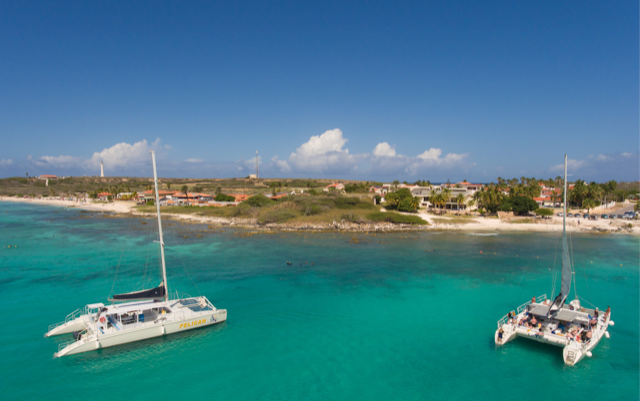 Continue reading "%s"
The month of June 2018 marks the 20th work anniversary of Jeanine Hoevertsz at Pelican Adventures, one of Aruba’s first water sport and touring companies. Jeanine started her career at Pelican Adventures in 1998 as a Junior Sales Agent. Continue reading "%s"
To continue to build awareness of the culinary experience offered at the properties, the Divi & Tamarijn Aruba All Inclusives hosted an exclusive, one-night-only dinner on Saturday, June 9 at Fusion Restaurant Wine & Piano Bar featuring a menu created by celebrity Chef Tiffani Faison. 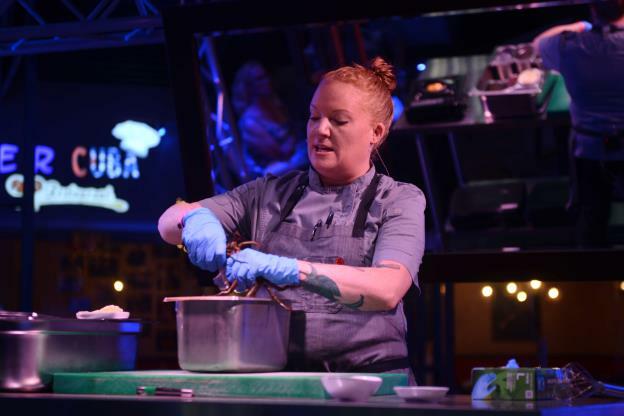 “It was an honor to welcome Chef Tiffani to our Continue reading "%s"